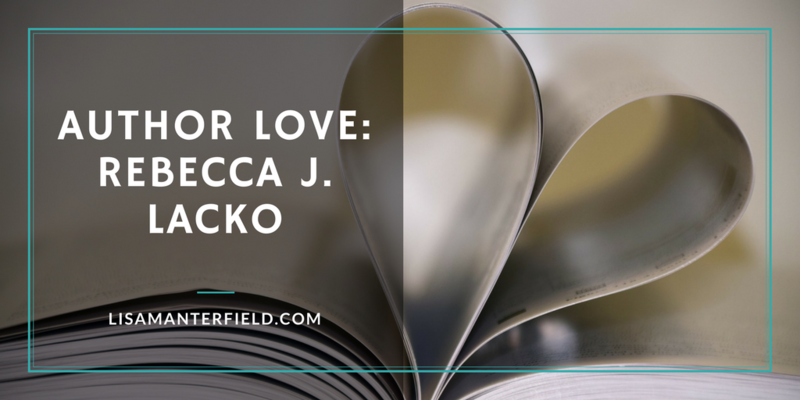 I first met Rebecca J. Lacko several years ago at the UCLA Extension Writer’s Studio. Two introverts, we shuffled next to one another with our coffee, made tentative greetings, and soon realized we’d each found a new friend. When Rebecca workshopped a scene from her work-in-progress, I knew she was a writer whose career I wanted to follow. That project went on to become Rebecca’s debut novel, Radio Head, published under the pen name Rebecca Laclair. I had the honor of reading drafts of the book as Rebecca wrote them. I got to watch the story evolve, see plotlines soar and sometimes fail, and witness characters try to take over the story, only to be trimmed back. 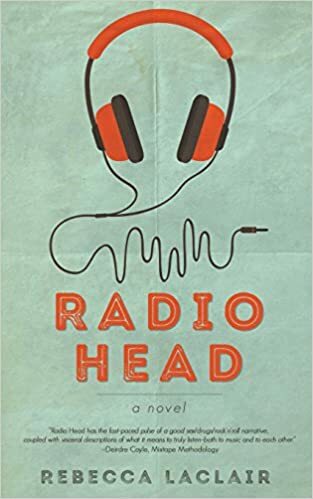 Then, last year, I had the great pleasure of reading an advance copy of Radio Head before its release. I recall opening the envelope, seeing the gorgeous cover for the first time, and feeling the weight of a real book, knowing all the work that had gone into it. It was also fun to read the finished version, to see the changes that had been made. I read the opening, something many writers struggle with, and Boom! I was into the story, galloping through the lives of Shelby and Zac as if I was meeting them for the very first time. 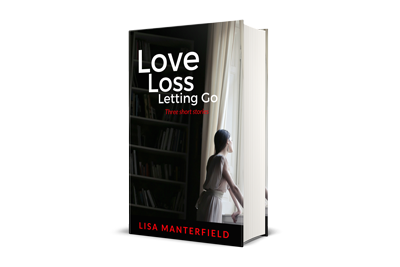 I am so very proud of my friend and her wonderful book, and I’m pleased to be able to introduce them both to you. I caught up with Rebecca to talk about what inspires her work and what we can look forward to next. 1. Music plays a big role in your work. Why is it so important to you? Music is a universal language that every person at every age understands. From our first lullaby to our last dance, specific songs mark milestones and rites of passage and can instantly transport us back to those moments, even when heard years later. Music helps me to understand what makes my characters tick, because what a person chooses to listen to forms a lens, calibrating his or her worldview. Telling a story through this universal language allows me to reach a diverse readership, because we all share enjoyment of music. I always love to hear from readers, and often they’ll share their favorite song and the story of how it came to be so important to them. 2. I’ve had the benefit of reading your other works-in-progress. You and I share the trait of writing young characters with dead or absent fathers. What do you make of this? Yes, that is a curious tendency, isn’t it? There is a word in Portuguese, saudade, that suggests a deep emotional state of melancholic longing for a person or thing that is absent. How bittersweet that the word is roughly pronounced, “so dada.” In my debut novel Radio Head, my protagonist’s Dada took his own life, and in my second book, the father character is estranged from his child, causing tremendous longing on the part of the young rock musician who is my main character. I have an awesome adopted dad, so why so much daddy drama? There are no definitive answers I can offer, only further questions. In my experience, the role of being “daughter” is a dance of both pulling toward and twirling away, a celebration of love and a searching in the dark for genealogical clues. Biologically, our origin overwhelmingly stems from mitochondrial DNA – which comes from mom. But it may be argued that who we are, our roots, comes from the relationship with our fathers. If we feel severed from our origin, can we truly know ourselves? Whatever the reason may be, I’m fascinated with family dynamics, where people come from, and what makes them behave the way they do. The parent/child relationship often finds its way to the heart of my stories. 3. Can you tell us a bit about your work habits? As a child I fantasized about writing books in a remote, natural paradise, surrounded by children and pets and my true love. That long-ago dream pretty much sums up my reality as a writer, and I’m very content and deeply thankful. I work full-time as a writer and editor, compartmentalizing my time between nonfiction assignments, editing a magazine, researching my next book, exercise and volunteer work, and steeling my resolve for fiction writing sprints. One drawback: I have far too much time for self-doubt, a scourge among writers. I love a tight deadline, and the ticking of the clock. I’m grateful that I don’t suffer writers’ block, but that doesn’t mean all my ideas are winning or marketable. What I’ve learned – through painful stretches of weeks and months spent “forcing” a story to work and failing – is that I can only write what I can write. If I explore a topic I love, the research and subject interview process are seriously fun, and totally fulfilling. If I write about the things that offend or make me angry or sad, it’s painful, but the work takes on its own energy as I write from my heart in an effort to right a wrong. The goal is always a project so engrossing that I lay awake thinking about my characters, drive my kids to school wondering how my character will resolve a certain problem, or recall scenes I’ve already written to determine how I can make them better. The story that won’t shut up is the only story I can write. 4. You run a teen writer’s workshop at your local library. What is it that you love about working with teen writers? I am so lucky to work with young writers. The students who attend our workshops, camps and spoken word events are, by and large, fabulous writers, and their stories are outrageously good. Teens are busy and have myriad commitments before graduation, so I’m impressed by their tenacity and willingness to show up and do the work. For many, the written word is cathartic; their fictional characters hold the secrets of their daily worries and traumas. I don’t know whether I’m any good as a teacher, but I’m a rigorous editor, and often revision is where a writer truly discovers what his or her story is really about. Through prompts, discussion and writing time, the students create and then share pieces in our writers’ circle, a place where works are read aloud. Magic happens in the writers’ circle. The writers demonstrate such love and acceptance of one another’s words. As peers, they help resolve the characters’ dilemmas, and they laugh and encourage one another. It’s an honor to be included in the process, and especially rewarding when the students go on to have their prose published or win awards from literary magazines. I wish every writer, at every age and stage, a safe writing community. It’s invaluable to have others who can be trusted with early drafts, and dreams yet written. I am working on my third book! Some of my favorite writing experiences have occurred when I ventured away from “safe” territory to try something that wasn’t an automatic, go-to topic for me. The story I’m working on now is science fiction, a genre I love but have never explored in my writing. The piece I’m working on involves time travel, and I’m thrilled with the challenge of placing my characters in both the future and the past. My hope is to create a compelling story for upper Middle Graders, but it may venture into the YA arena if I let myself run away with a few mature themes I have brewing in the background. I really won’t know until I’ve finished the first draft. As an avid outliner, this un-knowing is immensely enjoyable and brings a vitality to my writing sessions. It’s a journey of discovery, and I’m working on allowing my characters to tell the story organically, and letting go of any expectations beyond the narrative structure. And yes, music will play an important role. It may even save my character’s life. Shelby Rey can hear you like a song. With one touch, she’s in tune with your every hope, every secret. When a celebrity psychiatrist takes an interest in her case, Shelby comes face-to-face with Zac Wyatt, the lead singer of the world-famous rock band, Grounder. For Zac, success isn’t enough though. He wants a shot at his first solo album, fame above and beyond Grounder. But the genius behind every one of Grounder’s hits is Stanford Lysandre, their heroin-addicted, self-taught lead guitarist. Zac is so jealous he could kill him. Determined to win, Zac realizes that Shelby can do what he can’t-hear the music inside him, uncover his feelings, and help him create his own singular style. As Shelby gets closer to the band, she discovers Stanford’s secret to writing his music. It’s a power very familiar to hers, but life-affirming and not destructive. Can Shelby hide her connection to Zac’s enemy? Rebecca J. Lacko describes the way music speaks to us, changes us, and validates us in a way that any music lover immediately recognizes. A magazine editor and HuffPost contributor, Rebecca has short stories published Gravel, Wordhaus, and Mixtape Methodology. 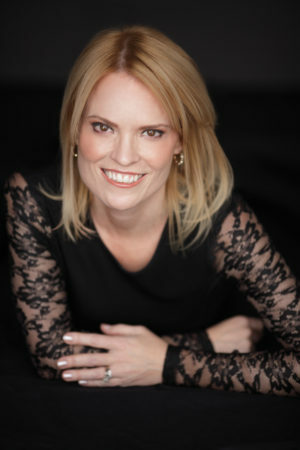 Rebecca mentors teen writers and is an advocate for music education.